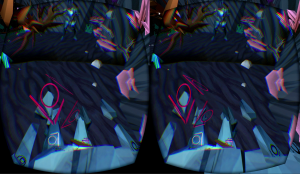 Liber is a VR Game experience projecting a player inside a virtual body. It includes elements of puzzle-game mixed with motion-control of an avatar. We are trapped. Roots and branches are holding us tight. How can we: escape this trap? Mysterious tattoos appear : what do they mean? Where are we? What do we do now? 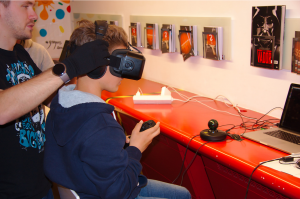 Liber is a global game jam 2015 entry using virtual reality to immerse a user in a virtual body. The goal of the game is to release the body from an entanglement of vines. The only way to do that is to retrieve glyphs from the skin and use them on the vines. The environment includes a mirror to help the user takes control of this virtual abstract body. This application uses the Oculus Rift DK2 with the Razer Hydra controllers for the hands.